If you landed here it means one of the Resources requested by was not downloaded Ok. There can be lots of reasons why this happened. 1. Resource is down (try to open the same URL in a different Browser). - Jsut wait for the resource to be up. 2. PD fails to download the exact web page (some resources do not allow Internet Explorer core). Usually marked as RDF = [Resource Download Failed] in Originality Reports. RDF usually is followed by a detailed error description :: "Unable to connect to the remote server"
Update your system if needed. 2. PD downloads the page Ok, but unable to extract Plaintext for the resource. Try to select a different resource parser engine in PDC and reload. Feel free to contact our support service. Please avoid saving Reports via "Browser Save as..." functionality. This will result in creating a folder containing CSS, JS and images. some functionality will be lost. 2. You can open Reports folder from Report Viewer. Yes, we support PO (Purchase Order)! 1. Contact us to get a quote and a BuyNow link. 2. Enter your BuyNow link to your Browser. You will be navigated to our Payment Gateway - Plimus (Bluesnap). 4. Enter all the required details in to the fields above. 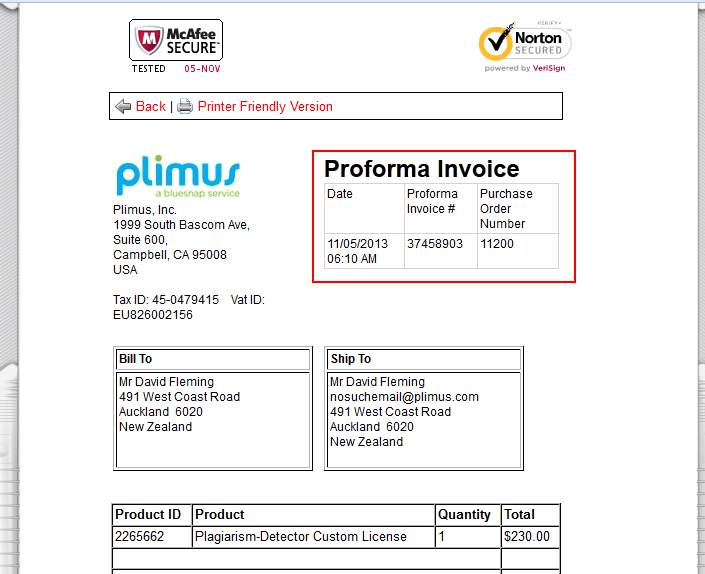 A) Fax Plimus (Bluesnap) your completed purchase order and our Proforma Invoice (Print and Fax it). 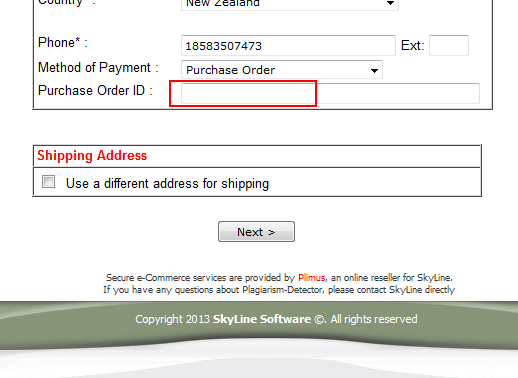 B) Plimus enters your purchase order into their system, where it awaits our approval. C) Once the purchase order is approved, the order is processed. The product will be delivered after payment has been received. 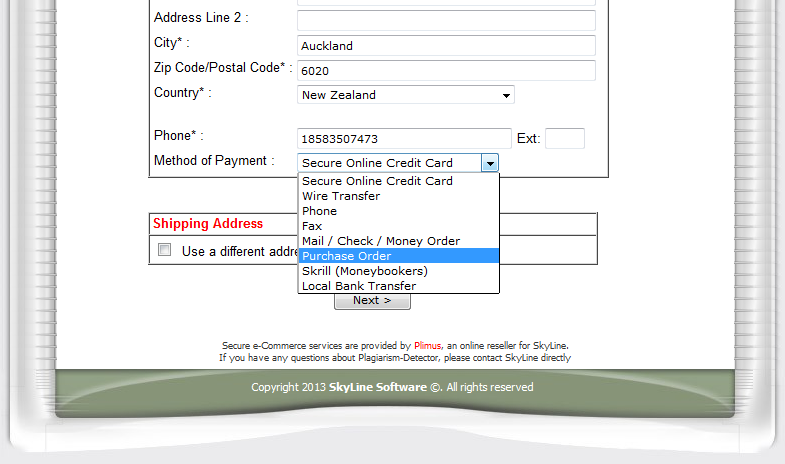 D) You will receive an invoice from Plimus with instructions on how to send payment. 8. As soon as we receive the PO confirmation by our payment gateway - we mail you the licenses and the activation instructions. Feel free to ask any additional questions!